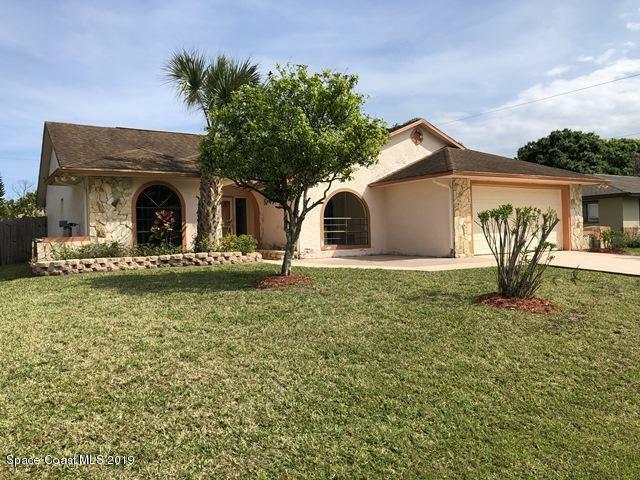 877 Fulda Avenue NW, Palm Bay, FL.| MLS# 841951 | Free Brevard County MLS Home Search. No Agent Needed. Daily Auto-Email Listings of All Brevard County Homes and Listings For Sale That Meets Your Home Buying Criteria. Brevard County Real Estate Market Information. Check out this split plan, NW Palm Bay Home! BRAND NEW AC WITH NEST THERMOSTAT! This home captures Florida in your font yard! There are tons of citrus trees that have produced fruit in seasons past - perfect for a refreshing afternoon snack. Additionally, there is a spacious paved patio out front - great for relaxing on warm summer nights. Inside, you will find that the 3 bedroom, 2 bath, split plan home has plenty of room to spread out. The kitchen has a bright breakfast nook area that is illuminated with natural light. There is a separate formal dinning area and living room. Plus, the screen patio in the back is very spacious. Don't wait, schedule a showing to see this for yourself today!